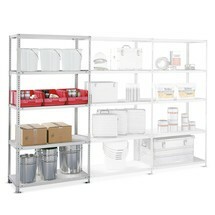 Instead of £170.00. 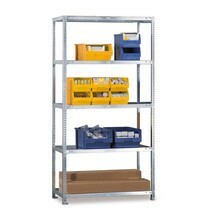 You save £8.50 due to the online discount . 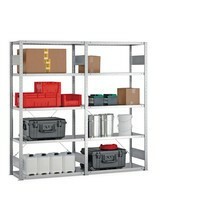 The applications of this shelf rack are as diverse as the work processes in industrial manufacture and warehouse storage. 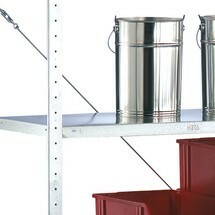 The closed hardboard decks are ideal for storing a wide range of items, such as small items, tools and various storage containers. 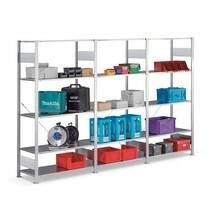 The hole patterns in the frame profiles allow the shelves to be adjusted in increments of 62.5 mm, thus ensuring the perfect spacing for different requirements. 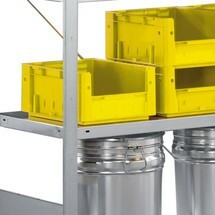 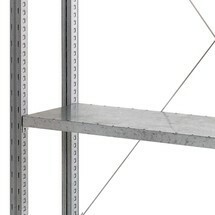 This also allows you to adjust the height of the shelves after assembly, without having to detach the frame supports. 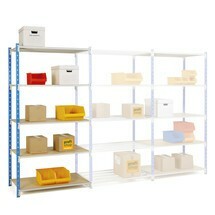 The double-sided shelf rack is available with sky blue (RAL 5015) uprights and light grey (RAL 7035) shelves. 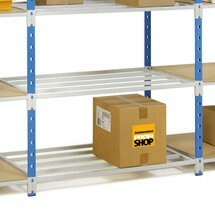 Please note that the shelf rack base unit must be secured against tipping as of a height/depth ratio of 5:1. 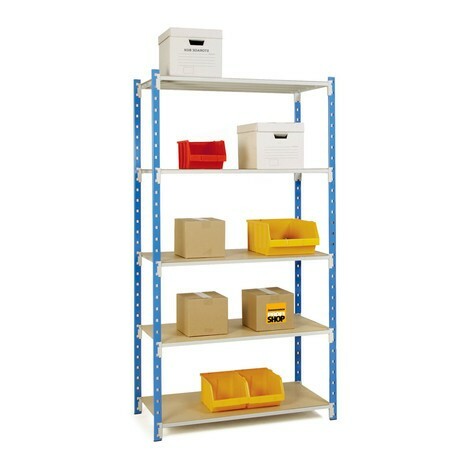 If you wish to expand your storage capacities, we can also supply matching add-on units for this base unit, which are easily attached thanks to the boltless assembly system. 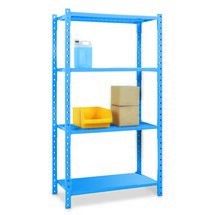 Order the shelf rack base unit, with a shelf load of up to 233 kg, in sky blue with light grey shelves, from our shop today.